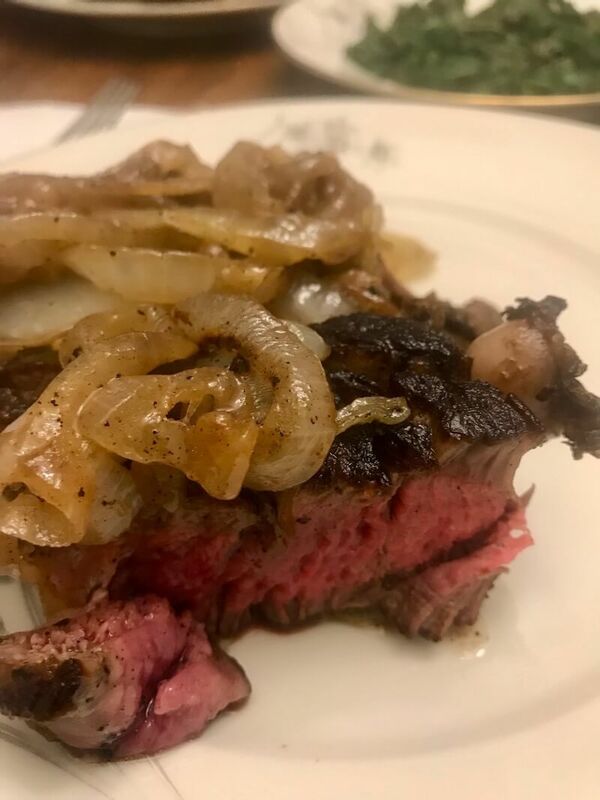 I had taken out my well-used cast iron skillet out, put it over some high heat, and just when it had started to produce some smoke on the surface, I introduced to it, the most beautiful, marbleized, cut of meat. My friend who was over to enjoy this meal with me, asked me what kind of steak I was making. After my long dissertation on the quality of the steak I was cooking; he responded in a very strong Australian accent, “I can tell”. I knew that the conversation would soon lead into his affinity for his homeland’s quality beef. He continued to inform me on how well cattle is treated there and why they have some of the best meat product in the world. He did this as he sliced through the steak I had prepared for him. I wasn’t offended, as he kept telling me how well I made it with his every bite. He also ended by telling me that I should finally get myself to Australia and whip up some steaks for him and his mates because he thought I’d do it justice. This comment was the impetus needed for me to map out a culinary map of Australia for when I visit. I’d have to take that lovely twenty, some odd hours, plane ride to get there. I’m sure, however, that it will be worth it. It’s not just beef on my list, but other cultural treasures from that continent that need to be ticked off my food list. Here are five dishes and 5 cities I’m looking forward to experiencing. First stop from New York City would have to be Sydney, Australia’s leading metropolis. Every time I meet a Sydneysider, I am always so impressed how much they love their city; and they always happen to be the nicest people. That’s enough reason for me to make it may first stop. While in the “Harbor City”, I was told by the same Australian friend for whom I made the steak, that I should enjoy a luxurious meal, and book a table at Neil Perry’s “Rockpool Bar and Grill” where one can choose from a range of cuts and ages of beef, a page long. His favorite is the 36 month aged ribeye on the bone. Though, I’d like to follow his lead, I think I’ll be ordering that Wagyu beef that Australia has adopted and made their own. 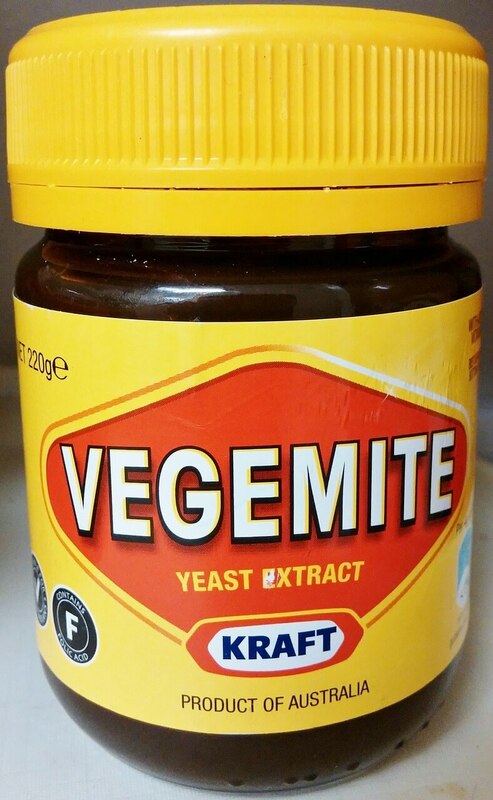 A staple in the Australian daily diet is the much beloved (and also hated) vegemite spread. In short, the ingredients are basically brewers yeast extract with vegetables and spices. I’ve given it a try in the past, but it was underwhelming at the very least. Though a good friend of ours, who happens to be Australian, loves it and misses it when she can’t have it. I’d like to think that if I tried in the homeland, it just may have a different effect on me. I’ve heard that the town of Newcastle, a hipster enclave about a 2-hour drive from Sydney, have cafes that have elevated the humble spread One such place is a cafe named, “Core Espresso” which has been know to popularize the “vegemite toast”. Their version is served with grass-fed butter and toasted sourdough bread with a smear. The plate costs more than a jar of the stuff, but I’m sure it will be more enjoyable, aesthetically, at least. 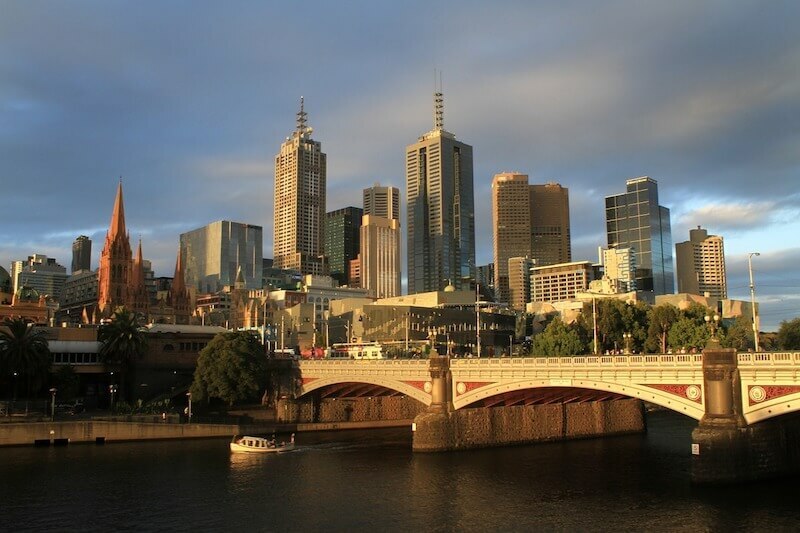 A surfer friend of mine considers Melbourne his favorite place in the world. With this remark, I’ve always had Melbourne circled on my map as a must. 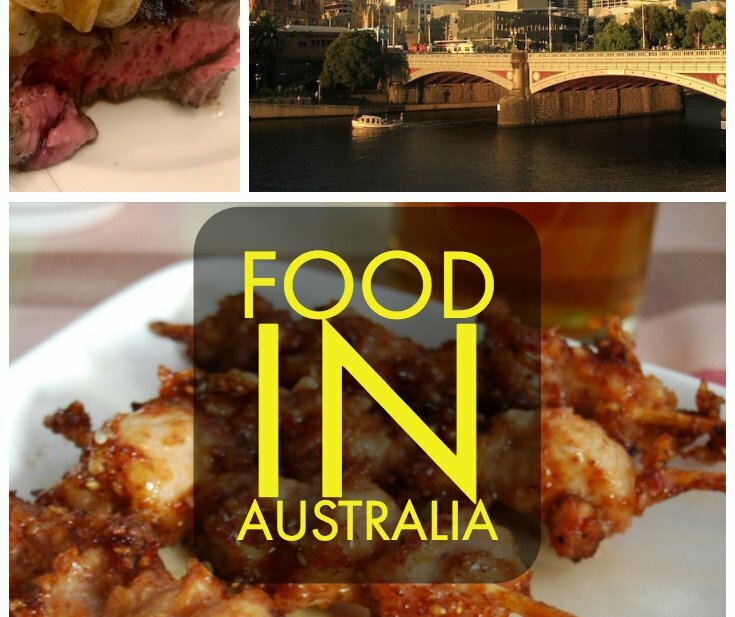 In my mind, no visit to Australia would be complete without a visit to what is now considered the town with the most exciting food scene in Australia. It also wouldn’t be complete if I didn’t have a kangaroo dish. I’m told, one of the best ways to have kangaroo meat is by having it as a burger. Photo Credit: Wales Jacqueline via Creative Commons. Many agree that an eatery named, “Metro Burgers”, located on the iconic Degraves Street, is the place to experience this perennially favorited meat in a form that is agreeable to all. Their ‘roo” burger, aptly named the “Outback Burger”, is dressed with the accouterments that Aussies seem to prefer. This includes the ubiquitous toppings of beetroot and pickled onions. I can’t wait to jump in and take my first bite. Adelaide is about a 1.5-hour flight from Melbourne. Famous for its zoo and its resident pandas; Adelaide, I’ve been told, also has a topography unequaled by the other big stops, replete with beautiful hills and a quaint seaside scene. It boasts one of the oldest markets in Australia, the Adelaide Central Market, established in 1869, where one can spend a day going from vendor to vendor sampling their goods. It further boasts an institution named, Kytons Bakery, an 80-year-old establishment that apparently makes the best Lamington cakes, Australia’s national pudding. I’m told that it’s a delectable sponge cake coated in chocolate and coconut with cream and raspberry jam in the center. I can’t imagine this will disappoint when I finally bite into one. When I was a kid, growing up in the city, my only knowledge of Australia stems from my fondness for Paul Hogan’s character, Crocodile Dundee. Who didn’t love Crocodile Dundee? I also love how the Aussies say, “Perth”. It always brings a smile to my face. So what better, than to link the two. I’ve had crocodile before, and I like it. I especially like it when prepared as a fritter. For those who are curious, it taste like a more substantial crab fritter. The meat is readily available just about anywhere in the country, so why not have it in Perth? Perth also has Swan Valley, Australia’s answer to California’s Napa Valley. My arm does not need to be twisted when it comes to visiting any wine country. Let’s see what pairs well with Croc. I’m sure it will go well with just about any wines. I guess I’ll just have to go and find out. Photo Credit: Jenchennifer via Creative Commons. Australia is huge, and the landscape diverse. If one has the time; and this is from a friend of mine that has traveled the continent extensively, driving is the best option to really get a feel of the land and its people and cuisine. That way, nothing is missed. I think I’ll take his advice. I’ve made my list and circled my map. I put my cast iron skillet over the hot fire again, waited a few minutes until it started to smoke and tossed on some good grass-fed beef, dreaming of how I’m going to eat my way through Australia.